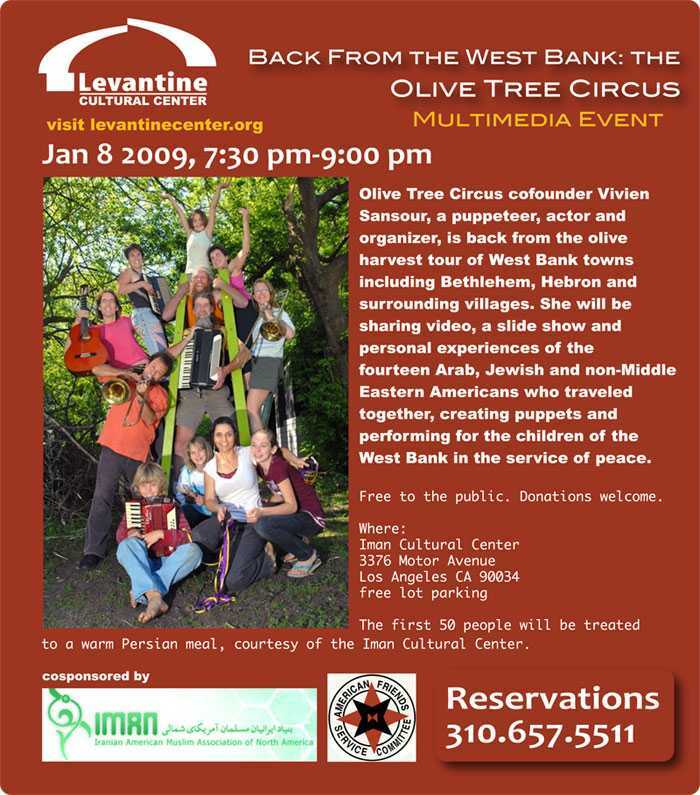 Vivien Sansour, puppeteer-clown-actor-organizer of the Olive Tree Circus, is back from the olive harvest tour of West Bank towns including Bethlehem, Hebron and surrounding villages. 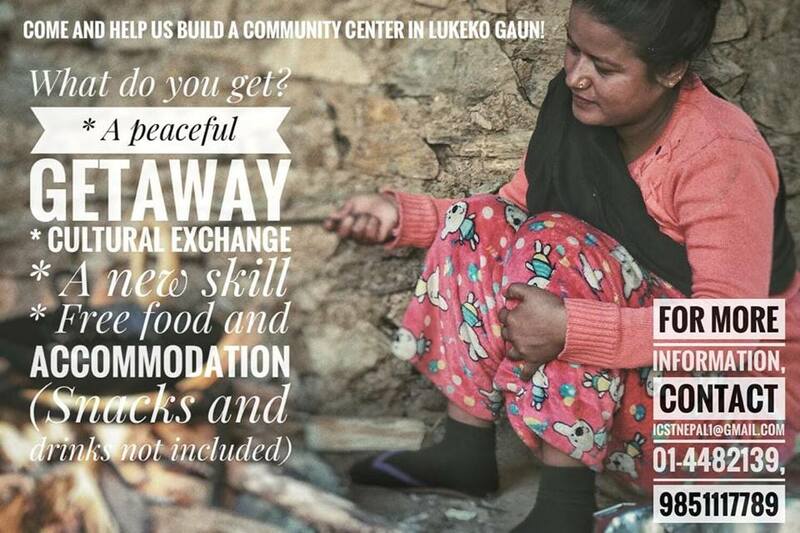 She will be removing her red nose and sharing with a large audience the slide show, video and personal experiences of the fourteen Arab, Jewish and non-Middle Eastern Americans who traveled together, creating puppets and performing for the children of the West Bank. Free to the public, RSVPs strongly advised: 310.657.5511.